Good afternoon. We’re here live at the NAHB Spring Construction Forecast Webinar. First up, NAHB Chief Economist David Crowe. Crowe’s starting off with the good: mortgage rates are low, and most states are returning to normal house prices. Dramatic changes in household formation mean that pent-up household demand is awaiting recovery. As many as 2 million households that haven’t yet formed will be needing housing soon. 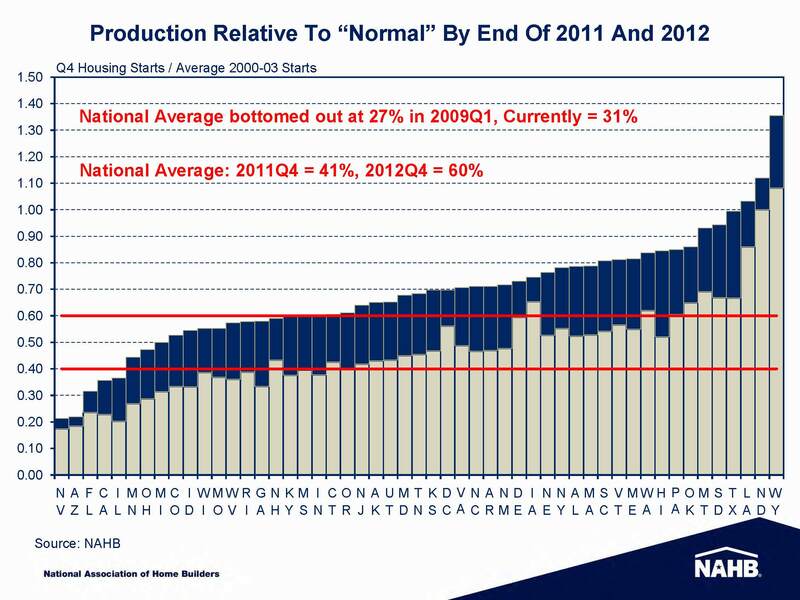 Single-family production is way under trend, with most states under producing. Now Crowe is moving on to what he’s calling “the worst of times;” reasons to be less optimistic. Consumer confidence? Lack of significant positive information on the economy isn’t helping increase it. Hasn’t shown much lift since we exited the recession. We’re barely off the lowest levels of employment. Now on to Crowe’s forecast. He expects to see some improvement, with the rest of the economy pulling housing up, rather than the opposite. 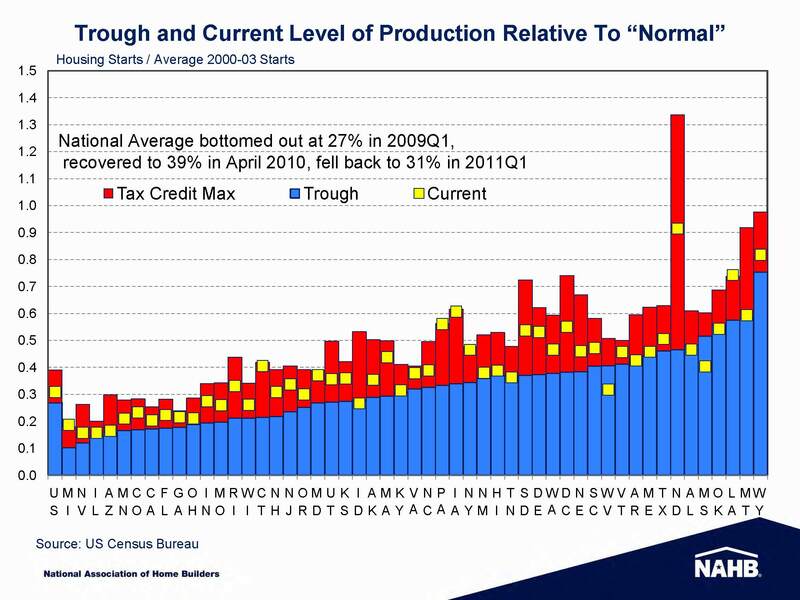 It will be slow, with 2nd quarter 2011 showing a modest upward trend. Crowe sees a better year ahead for multifamily, but only pushing up to levels seen back in late 2009. House prices will remain weak with some continued deterioration in 2011 due to the high volume of distressed in concentrated areas. The Fed maintains fed funds rate until early 2012. Mark Zandi, chief economist at Moody’s Analytics, is speaking now. 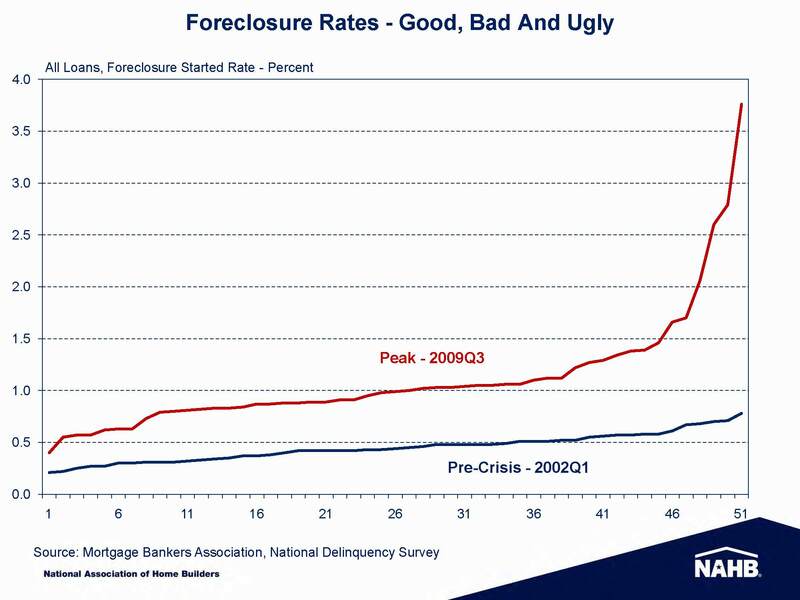 Zandi says the ongoing foreclosure crisis will keep house prices declining for one more year. Price declines beget negative equity, which is fodder for defaults, which means more distressed sales, more prices falling. Good reasons to be nervous, Zandi says. However, Zandi thinks house prices have fallen equal to income and rent, so current prices make sense. Price decreases should be modest, since jobs numbers are improving. Uncomfortable for the next 12-18 months, but better after that, says Zandi. Excess inventory is becoming manageable; much of the excess is regionally concentrated in AZ, central valley of CA, FL, GA and parts of the midwest. 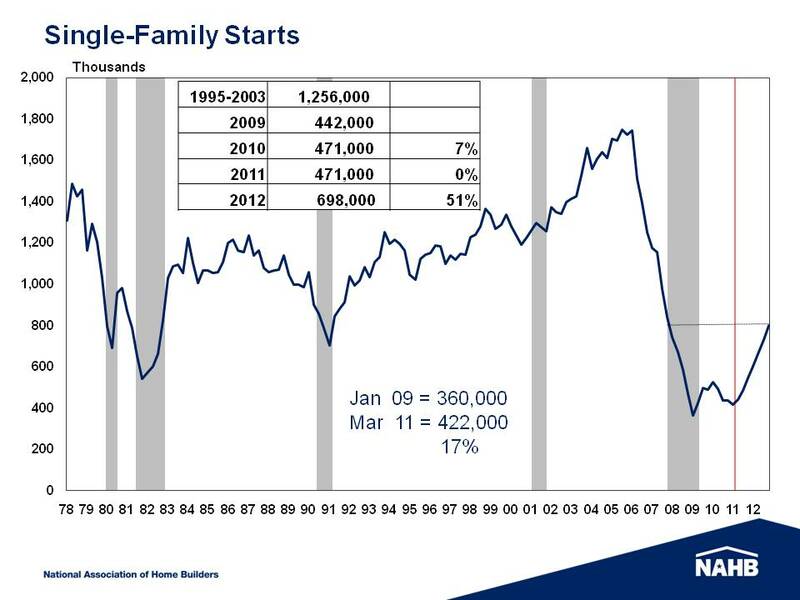 Again, housing demand will ramp up as household formations increase. 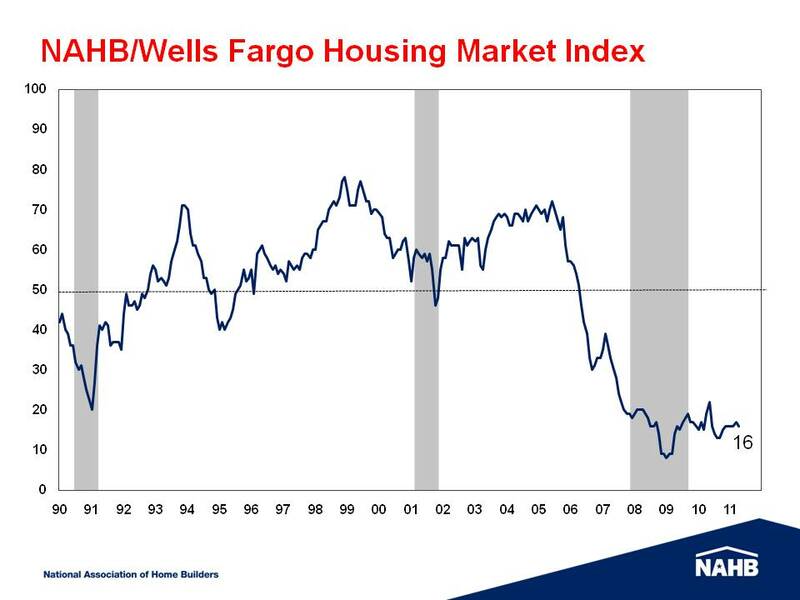 Now, Robert Denk, assistant vice president of forecasting and analysis at NAHB, will close the webinar with his presentation. Denk’s going to focus on regional differences. He says the housing market bottomed out in the summer of 2009, and since then it’s been bouncing along the bottom. Not great, but he doubts we’ll see a double dip. In the most recent 18 months prices seem to have bottomed out, according to various measurements (Case Shiller, etc). 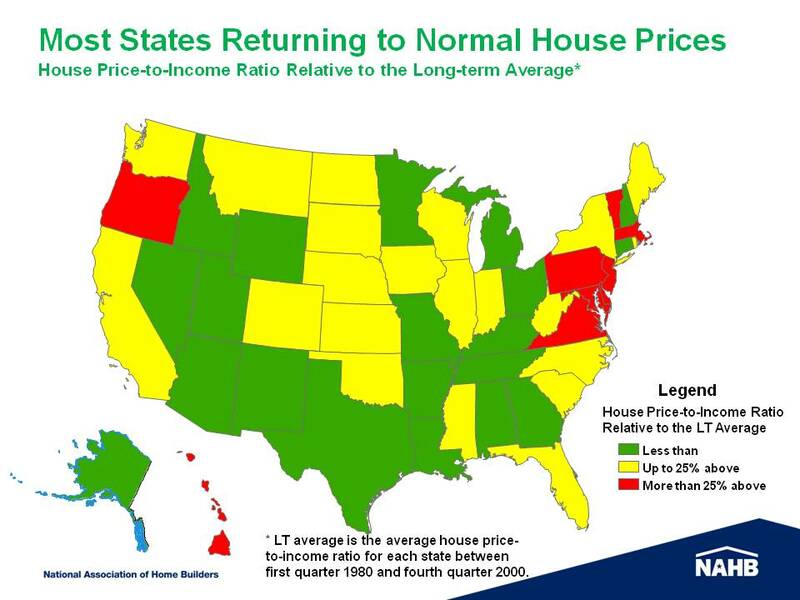 AZ, FL, and CA may continue to see prices lowering for a bit longer. In more than half of all states, the median house price has gone up. While foreclosures are a problem everywhere, they’re only a crisis in the problem states. More than half of foreclosures are concentrated in just a few states. As the recovery continues, numbers will still vary among states. AZ, CA, NV, parts of midwest will be the slowest to recover. QA time now. Crowe and Zandi agree that today’s investors aren’t the “flippers” of the bubble era. Q: How do you define household formations? A: The change in the number of households. Q: How will the current price of oil affect housing and housing prices? A: Denk – the higher price of oil will cut into the ability of households to maintain their consumption, and affect the demand for housing. Crowe agrees. That’s it for the NAHB Spring Construction Forecast. Thanks for tuning in. Visit www.nahb.org/cfw for information on the Fall Forecast Webinar.